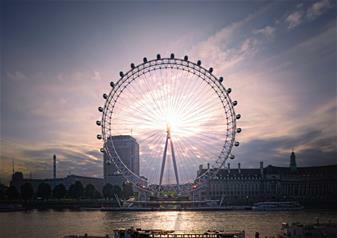 As one of the capital’s most treasured attractions, the London Eye is an absolute must-visit. Giving you beautiful 360 degree views of London, you won’t be forgetting this 30 minute ride in a hurry. Step into the iconic glass capsule and experience the very best that London has to offer including sights of the Queen’s residency – Buckingham Palace, the Houses of Parliament and London’s most famous skyscraper – the Shard. The perfect photo opportunities in one ride! You’ll also get to experience the wonderful London Eye 4D experience with special effects of bubbles, mist and a fireworks display bringing to life this heart-warming story. Get the extra special chance to explore one of London’s iconic landmarks – Tower Bridge. Discover its rich history through the ages with interactive displays, fascinating exhibitions and videos. You’ll get to explore the high level walkways, giving you breathtaking views of London through the famous glass floor. At 42 metres above ground level, you will get to soak up sensational panoramic views of the city and see its most famous locations including the historic St Paul’s Cathedral. During the exhibition, you’ll also get to explore the Victorian Engine Rooms that were previously used to raise the bridge telling a story of the people that made this happen. Take in the sights, sounds and smells as the experience is brought to life, giving you an insightful look into the history of Tower Bridge. Busiest period at the London Eye is between 12 noon and 3pm, so it is advisable to visit at a different time.